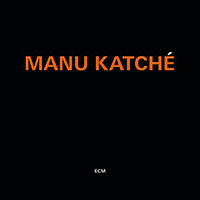 With only four records released as a leader on ECM, it may seem a little early to release a "best of" disc for drummer Manu Katché. But having since moved on to fellow German label ACT for Live in Concert, while Touchstone for Manu is only being released in North America in the summer of 2015, it may also seem a bit odd that this compilationculled from 2005's Neighbourhood, 2007's Playground, 2010's Third Round and 2012's simply titled Manu Katchéwas released in Europe on exactly the same date as his ACT debut in Europe: August 15, 2014. A competitive move between two labels that may seem, on the surface, to share more than they differboth hailing from Munich, both led by label heads with a lifetime in the business, and both bringing lesser-known artists to international attention? Perhaps, but in truth, not really. Despite ACT being a label with no shortage of appealing artists, ranging from guitarists Nguyen Le and Ulf Wakenius to pianist Joachim Kuhn and bassist Lars Danielsson, the two labels really couldn't be more different. One is led by Siggi Loch, whose role has largely been more businessman than artistic instigator, but whose fifty-plus year experience in the industry has certainly turned ACT into one of Europe's most successful labels. ECM, on the other hand, was founded by a more active artistic visionary in Manfred Eicher, whoas one of the few active producers left that gets his hands dirty, creatively speaking, and is consequently often thought of as the third member of a duo, the fifth member of a quartet and the ninth member of an octetcreated a clear aesthetic for the label from the very start that has managed to avoid artistic confinement as it approaches the half century mark. If anything, the more than one thousand albums Eicher has personally produced since forming ECM Records in 1969 (in addition to others produced by the artists or by the label's Production and Licensing manager, Steve Lake) have been defined by the broadest possible stylistic breadth, leading to that most desired but rarest of reputations amongst record labels: one where fans will invest in unfamiliar music solely on the basis that it has been released by the label. Brand loyalty is hard to come by in the new millennium, but ECM has managed to build and retain it for more than 45 years. 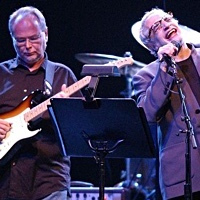 These days, ignoring the equally active and boundary-pushing New Series line that differentiates itself from the regular series of more improvisation-heavy music through its preponderance of largely scored music with a more classical bentthough, no surprise, what was once a clear line between the two imprints has become increasingly fuzzyECM continues to push the envelope, by incorporatingand encouraging collaborations betweena broad range of artists from around the world. 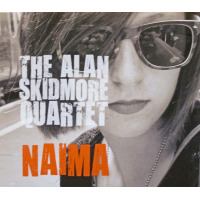 From Americans including saxophonists Tim Berne and Chris Potter, trumpeter Jon Hassell, guitarists David Torn, Ralph Towner and John Abercrombie, drummer Jack DeJohnette and pianists Keith Jarrett, Craig Taborn, David Virelles, Vijay Iyer and Marc Copland, to the Norwegian contingent that has long been one of the label's many definers, ranging from stalwarts like saxophonist Jan Garbarek, guitarist Terje Rypdal, bassist Arild Andersen, keyboardist/composer Jon Balke, pianist Ketil Bjornstad and drummer Jon Christensen to younger rising stars including trumpeter Mathias Eick, guitarist Jacob Young, singer/kantele master Sinikka Langeland, pianist Tord Gustavsen and saxophonist Trygve Seim, Eicher haswith his own vision an important dovetail to those of the artists with whom he's chosen to collaboratebuilt a rich, varied and inimitably massive discography where virtually every release is still somehowand for reasons difficult to definealways recognizable as an ECM recording. 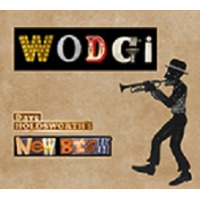 And it's a discography that's all the more significant thanks to the participation of other important international artists throughout the years, including British singer Norma Winstone and saxophonist Andy Sheppard; German bassist/composer Eberhard Weber and cellist Anja Lechner; Danish guitarist Jakob Bro and percussionist Marilyn Mazur; Swedish pianist Bobo Stenson and bassist Anders Jormin; Finnish pianist/harpist Iro Haarla and the late drummer Edward Vesala; Tunisian oudist Anouar Brahem; Persian singer Amina Alaoui; Italian trumpeters Enrico Rava and Paolo Fresu, and pianists Stefano Bollani, Stefano Battaglia and Giovanni Guidi; Argentinean bandoneonist Dino Saluzzi; Brazilian guitarist/pianist Egberto Gismonti and percussionist Nana Vasconcelos; Swiss vocalist Susanne Abbuehl and pianists Nik Bärtsch and Colin Vallon; Polish trumpeter Tomasz Stanko and pianist Marcin Wasilewski; and French clarinetist/saxophonist Louis Sclavis, pianist Francois Couturier...and, of course, drummer Manu Katché. Irrespective of the "why"and despite containing no previously unreleased music, drawing entirely, instead, from the drummer's four albums including two tracks from Neighbourhood, three from Playground, three from Third Round and four from Manu KatchéTouchstone for Manu is both an ideal introduction for the uninitiated and an example of just how much track sequencing plays a role in the overall flow of an album. 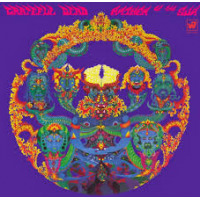 With the exception of the balladic opener, Playground's "Song for Her," which features a lyrical solo from bassist Slawomir Kurkiewiczlongtime collaborator with pianist Marcin Wasilewski, the two acting as Katché's rhythm section partners on both Neighbourhood and PlaygroundTouchstone for Manu works its way through the drummer's records chronologically, though the tunes selected are largely not in the same order as found on the original recordings. 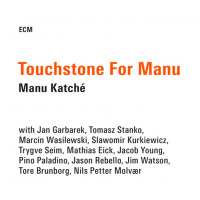 Instead, Touchstone for Manu can and should be seen as a distinct and discrete entry in the drummer's discography, with a large cast of guests that ranges from senior ECM artists Jan Garbarek and trumpeter Tomasz Stańko to younger Norwegians Mathias Eick and Trygve Seim, along with another Norwegian, Tore Brunborg, who may not have released any albums as a leader on the label but who has made significant contributions to albums by '80s group Masqualero, Ketil Bjørnstad, and Tord Gustavsen. 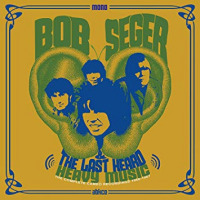 Another Norwegian, trumpeter Nils Petter Molvaer, may no longer record for the label as a leader but, in addition to tenure in Masqualero and participation on two seminal albums by Norwegian vocal innovator Sidsel Endresen, released Solid Ether (ECM, 2000) and, in particular, Khmer (ECM, 1997), which was a true paradigm shifter and has ultimately become one of the label's better-known groundbreakers. 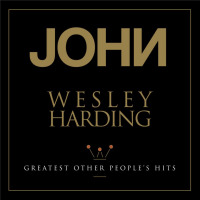 Along with Wasilewski and Kurkiewicz, bassist Pino Palladino (better known in the pop world) and pianist Jason Rebello (known for his work with Sting and Jeff Beck), along with fellow Brit, pianist/organist Jimmy Watson, round out Katché's groups on tracks from Third Round and Manu Katché respectively, along with a guest appearance by Norwegian guitarist Jacob Young on "Keep on Trippin,'" one of the album's more fiery tracks amidst a song selection that can't help but focus on groove, as it's been the most significant touchstone of Katché's albums, irrespective of who he's chosen to work with. It's a breezy hour of in-the-pocket drum work that rarely breaks a sweat and is almost never heard in a solo context, but is impressive nevertheless because Katché's resumewhich includes significant stints with Sting and Peter Gabriel, but also appearances with everyone from Jeff Beck and Dire Straits to Herbie Hancock, Joni Mitchell and Joe Satriani, not to mention Jan Garbarek, with whom Katché continues to tour on occasion (last heard on the saxophonist's 2009 live ECM recording, Dresden), appearing on no less than six of the saxophonist's thirty recordings as leaderis defined by his ability to bring groove to virtually any context. Katché's ECM recordings have been deemed, but some, as smooth jazzor, at the very least, approaching itbut beyond the largely acoustic nature of his work (with only Molvær utilizing any electronics and Rebello the only keyboardist to add electric piano to the mix), it's really an unfair assessment. True, the writing is relatively straightforward and easy on the ears; but on every record from which Touchstone for Manu is culled, the group interplay and soloing is always impressive. 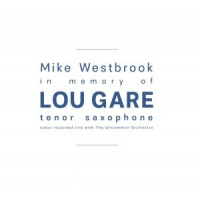 And it is impressive, whether it's Garbarek's cascading lines and signature tonal purity on Neighbourhood's "Number One"; Wasilewski's Herbie Hancock-inspired work on the same album's "Take Off and Land"; Eick's extended solo on Playground's effervescent "So Groovy," which builds to a conclusion in the upper stratosphere reflective of the young trumpeter's early touchstoneand, for many years, ECM regularKenny Wheeler; the sophisticated voicings and oblique lines that Jacob Young contributes to Third Round's powerfully backbeat-driven "Keep on Trippin'"; Tore Brunborg's spare but evocative playing and Rebello's similarly understated solo on the same album's dark- hued ballad, "Senses"; and Molvær, who reaffirms (as if it's necessary) his strength as both an acoustic trumpeter with a warm, rounded tone and a master of subtle electronics, combining with Watson's Hammond B3 organ to create a lush cushion on Manu Katché's brush-driven "Slowing the Tides." With Katché having moved on and his first post-ECM record a live recording, it's hard to know what the impact of his decision will have on his solo career. After working for so many years with a producer who provides plenty of input into the creative process, it's yet to be seen if Katché will be able to leverage that experience or, indeed, miss the input of an active producer like Eicher. 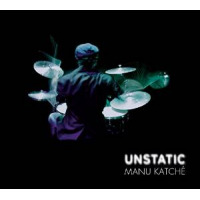 In the meantime, Touchstone for Manu puts a very fine period on an eight-year run that positioned Katché as a strong bandleader, an accessible composer...and a drummer whose focus on groove and group interplay over chops and excessive gymnastics remains both refreshing and relevant. 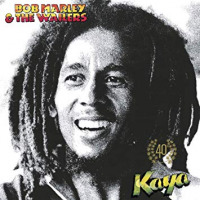 Track Listing: Song for Her; Number One; Take Off and Land; So ; Morning Joy Keep on Trippin'; Senses; Swing Piece; Running After Years; Slowing the Tides; Bliss. 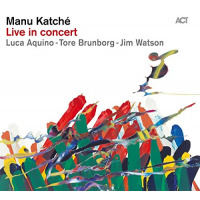 Personnel: Manu Katché: drums; Tomasz Stanko: trumpet (3, 4); Jan Garbarek: tenor saxophone (3, 4); Marcin Wasilewski: piano (2-6); Slawomir Kurkiewicz: double bass (2-6); Mathias Eick: trumpet (2, 5, 6); Trygve Seim: tenor and soprano saxophones (3, 5, 6); Tore Brunborg: tenor and soprano saxophones (1, 7-11); Jason Rebello: piano and Fender Rhodes (7-9); Pino Palladino: bass (7-9); Jacob Young: guitar (7); Nils Petter Molvær: trumpet and loops (1, 10, 11); Jim Watson: piano and Hammond B3 organ (1, 10, 11).